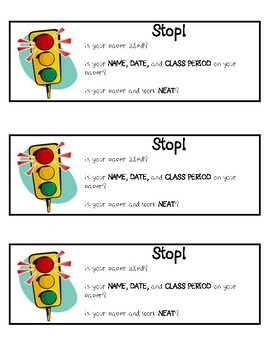 Is your NAME, DATE, and CLASS PERIOD on your paper? Is your paper and work NEAT? Students need a reminder before they turn work in. I tape these into my "turn-in" baskets.